Revamp your lunches with glass jars that hold our favorite grains and proteins too. 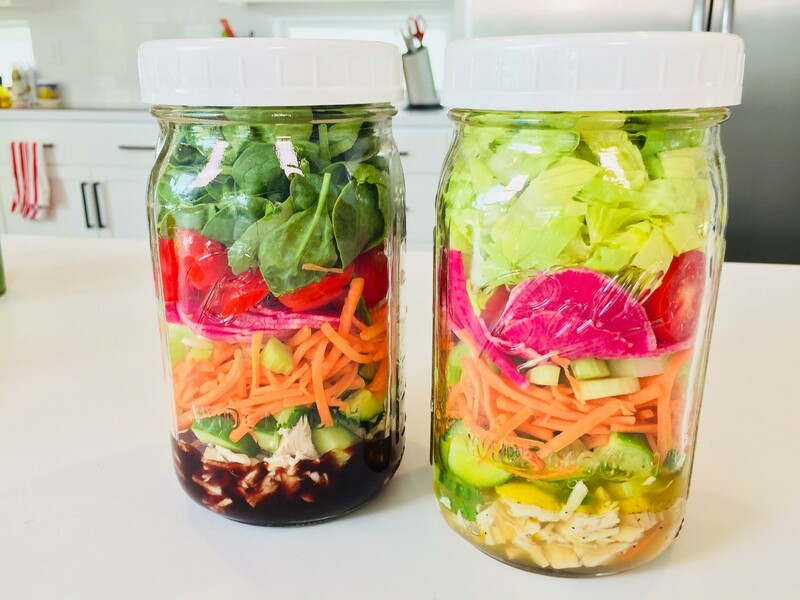 Easy to prep ahead, pack, and enjoy anytime, these salads-in-a-jar are a lunchtime game changer. Once again, wellness expert Stacey Maedge shares simple tips for making the most delicious mason jar salads. 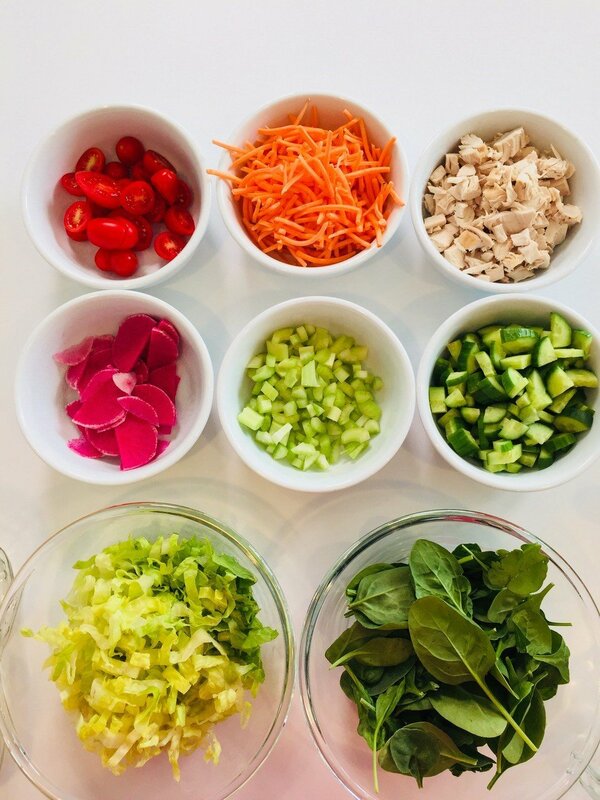 These salad greens look so pretty you won't want to eat them. For more mason jar salad recipes and inspiration, check out our "Lunching" board on Pinterest. Bonus: we're offering our readers an extra video this week! 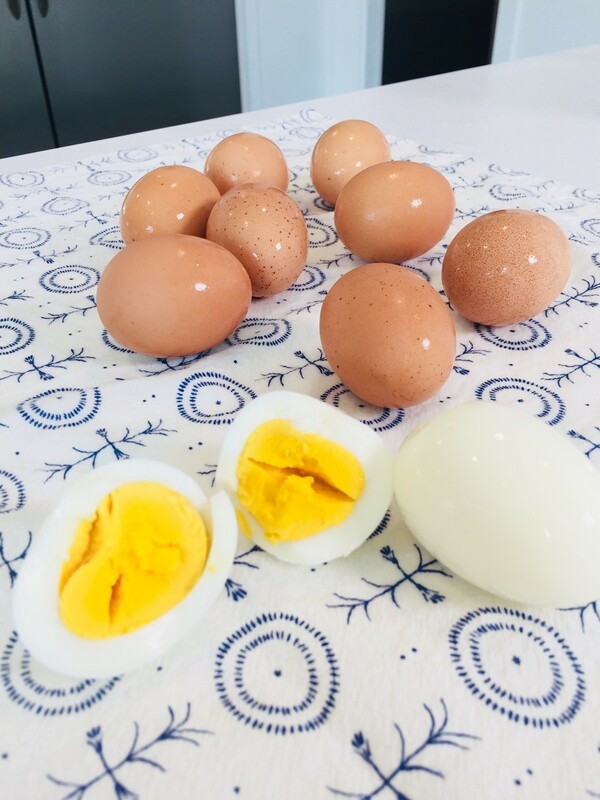 Click here to gain access to Stacey's video tutorial for making boiled eggs in an InstantPot. Share your favorite breakfast and lunch recipes with us, or show off a photo of your own amazing mason jar salads on social media with #NutritionFits! Mason jar salads are exactly what you think they are, and perfect for a power lunch.